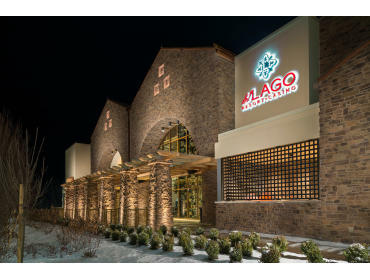 Stay at del Lago’s brand new Luxury Hotel and enjoy added value for just a little more! Full Breakfast for two in our Sociale Café and complimentary access to our Luxury Spa Amenities. The Spa features private women’s and men’s relaxation spaces including Eucalyptus Infused Steam rooms, Cedar Wood Saunas and lounges with healthy refreshments. There is also a coed relaxation sanctuary with a lounge area.